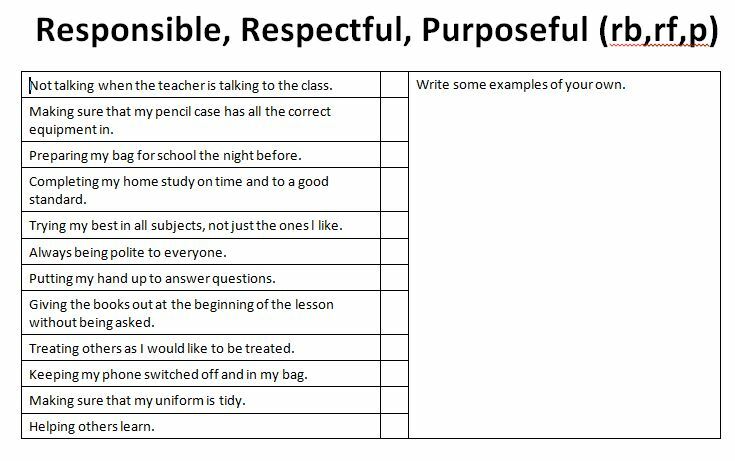 PSD recently shared a strategy that she used with her Year 7 Technology group to develop their understanding of the words �respectful, purposeful and responsible�. PSD decided that for a starter �settling� task she would get them to write their own definitions of the words �respectful, purposeful and responsible�. The students were then asked to give an example of respectful, responsible and purposeful behaviour and say why behaving in this way is important. PSD found that a number of students struggled with the definitions, especially �purposeful�. It led to some really good class discussion and the promise of a commendation for explaining the words correctly next week. 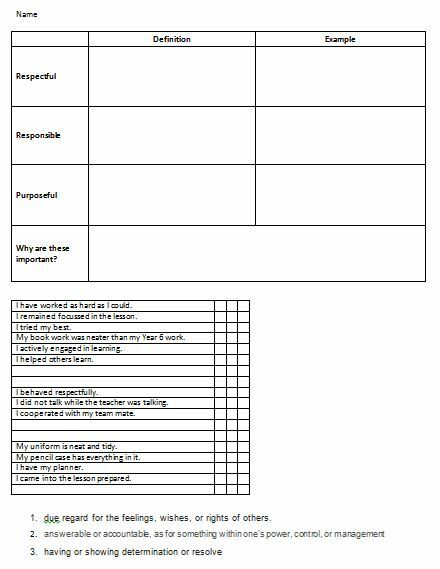 In the next lesson, PSD developed the idea further by giving the students a little tick list of respectful, purposeful and responsible behaviours for them to tick off at the end of lessons� allowing space for students to add their own suggestions. PSD found that the students responded very positively, and that the approach made a significant impact on positive learning behaviours. She continued making the point of referring back to the �key words� through the forthcoming lessons to reinforce the terminology.